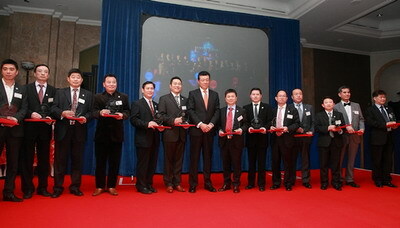 On December 20 2012, the Founding Ceremony of UK Chinese Business Association was held at Hilton Park Lane, London. Ambassador Liu Xiaoming, Stephen Phillips, Chief Executive of the China-Britain Business Council, Hugh Davies Chairman of Great Britain China Centre and nearly 300 British politicians and businessmen, representatives from Chinese-funded institutions and overseas Chinese were present. 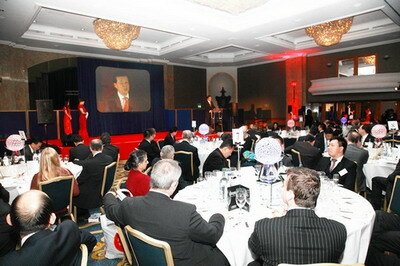 In his speech, Ambassador Liu first congratulated the founding of UK Chinese Business Association (UKCBA). He pointed out that this event is of great significance for three reasons. First, UKCBA offers a new platform for better cooperation among Chinese businesses in Britain and will become a new home for Chinese enterprises in the UK. Second, UKCBA has created new conditions for heightening the status of Chinese people in the British society, and will form a synergy of all Chinese in Britain, improve their image and boost their status. Third, by adding a new force promoting China-UK economic cooperation, UKCBA will help bring the advantages of Chinese enterprises to a full play. In turn Chinese enterprises in Britain will be able to play an even bigger role in serving as a bridge and advancing China-UK economic cooperation. Ambassador Liu also hoped UKCBA to pay attention to three respects to ensure its development in the future. First, solidarity. He hoped Chinese businesses in Britain will rally around the UKCBA and work together for common development through mutual help. Second, integrity. He hoped members of UKCBA will always uphold integrity, build a good reputation and create a positive image of Chinese people. Third, responsibility. He hoped UKCBA may carry on the fine traditions in morals and virtues of Chinese people and fulfill their social responsibility. In particular, he hoped that UKCBA will generously support cultural and educational programmes of British Chinese, take an active part in public welfare activities and support Chinese participation in political affairs. All these will raise political status of Chinese and contribute to the development of Chinese communities and local society. Hugh Davies said in his speech that Great Britain China Centre (CBBC) will further strengthen the ties with UKCBK and work together to promote the development of UK-China trade and enhance the friendship and cooperation between the two countries. At the ceremony, Ambassador Liu handed out certificates to the founding members of the board of UKCBA. UK Chinese Business Association was founded in London in April 2012 by the Fujian Chamber of Commerce UK, the Zhejiang Chamber of Commerce, the Shanghai Chamber of Commerce, the Hunan Chamber of Commerce and many other new British-based Chinese business groups.